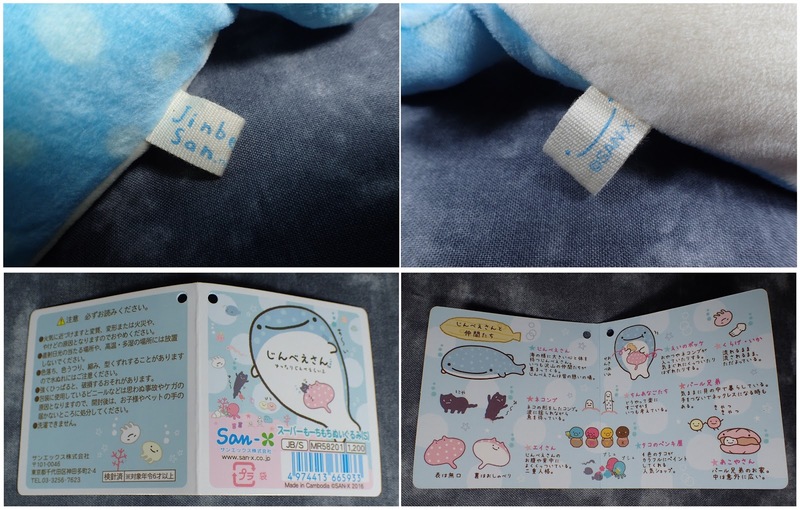 I picked up the small size Jinbe (as I am running out of space). 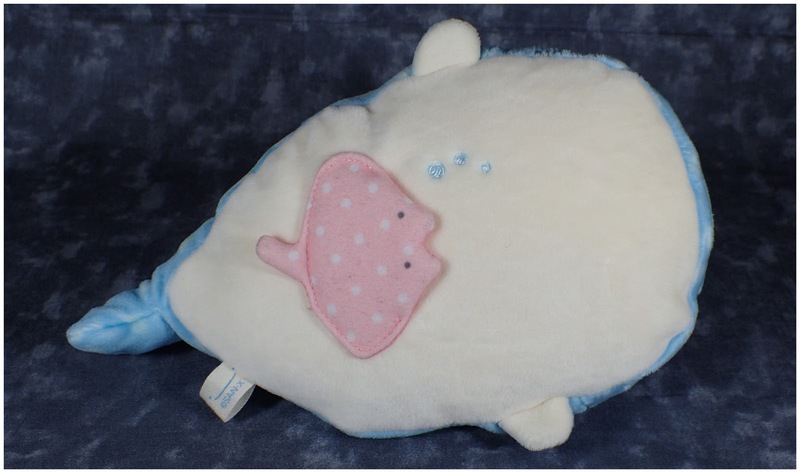 He is super soft and filled with a few beans and some sort of marshmallow type of stuffing - honestly he is crazy squishy! 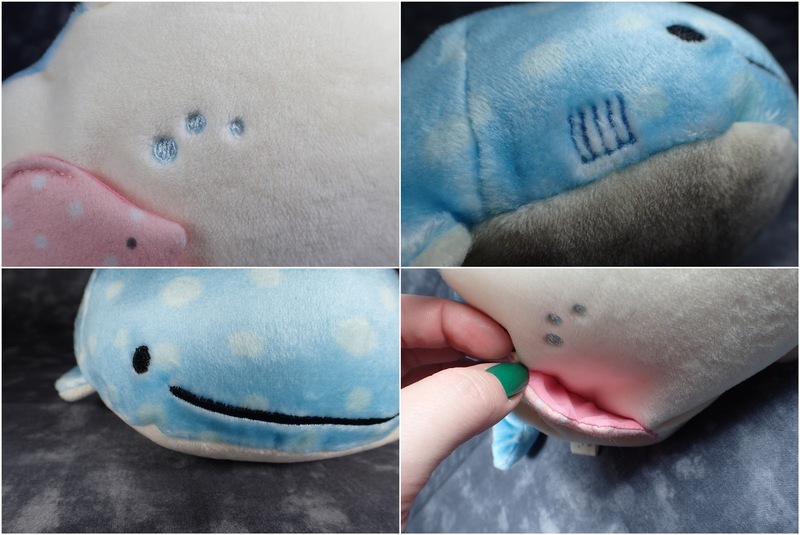 He has very nice stitching and a little pink ray friend on his belly. 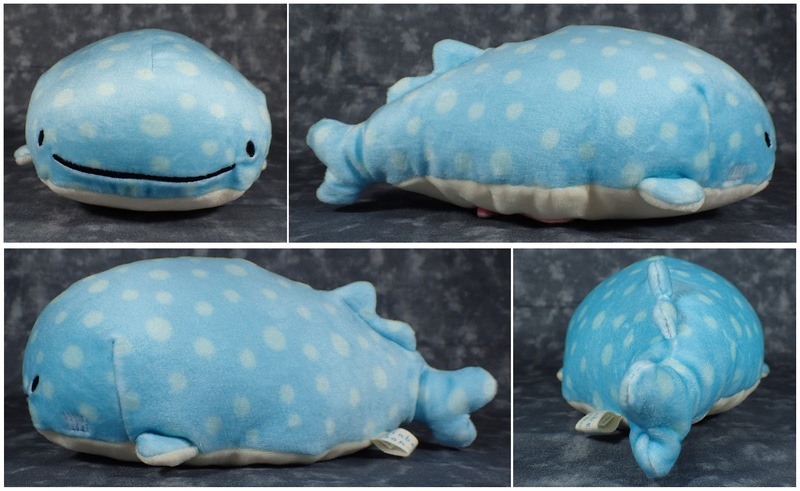 I kind of wish I had picked up the large size as he is sooo soft and squishy - you should get the biggest you can find for the ultimate cuddle-buddy.